A citizen with a gun stopped a knife-wielding man as he began stabbing people in a Salt Lake City store. Two men retrieved firearms from their cars and stopped a mass murder at the Appalachian School of Law. Citizen takes out shooter while police were penned down in Early, Texas. Citizen stops apartment shoot-up in Oklahoma City. Fact: Forty two states, comprising the majority of the American population, are “right-to-carry” states – thirty eight are “shall issue” states where anyone without a criminal record will be issued a permit, and four states require no permit. 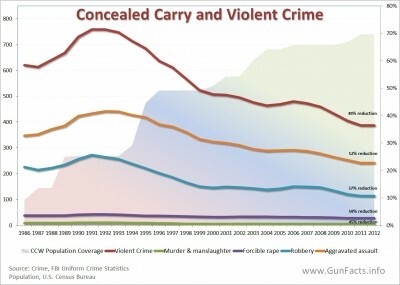 In 1988 there were only 10 “right-to-carry”. Statistics show that in these states the crime rate fell (or did not rise) after the right-to-carry law became active (as of July, 2006). 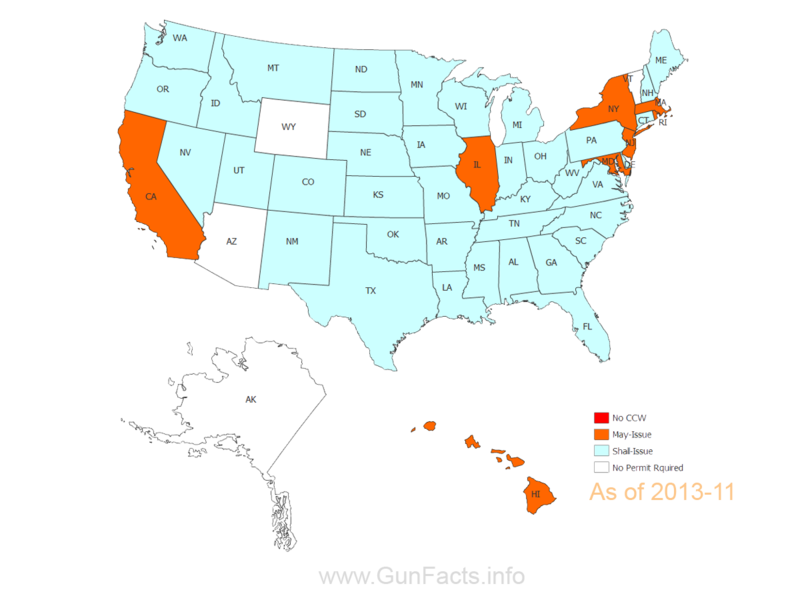 Eight states are “may issue” states where it is nearly impossible to obtain a CCW permit. 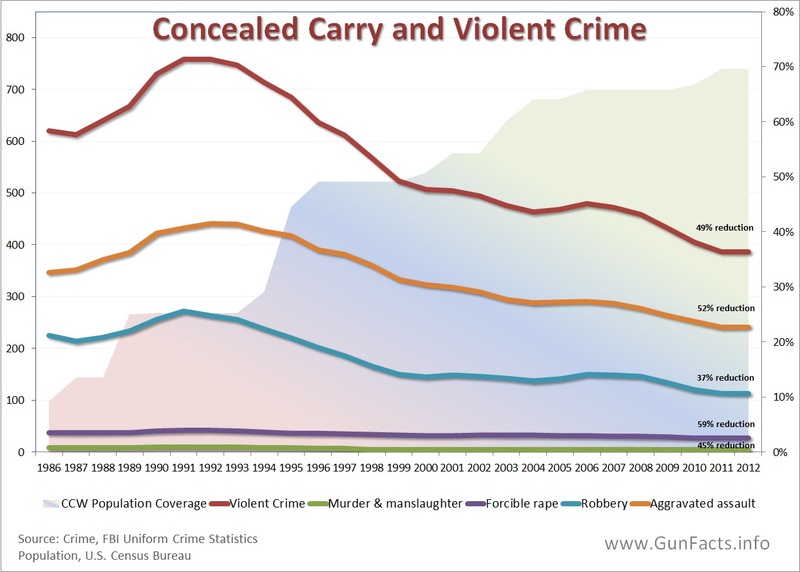 Fact: After passing their concealed carry law, Florida’s homicide rate fell from 36% above the national average to 4% below, 3 and remains below the national average (as of the last reporting period, 2005). 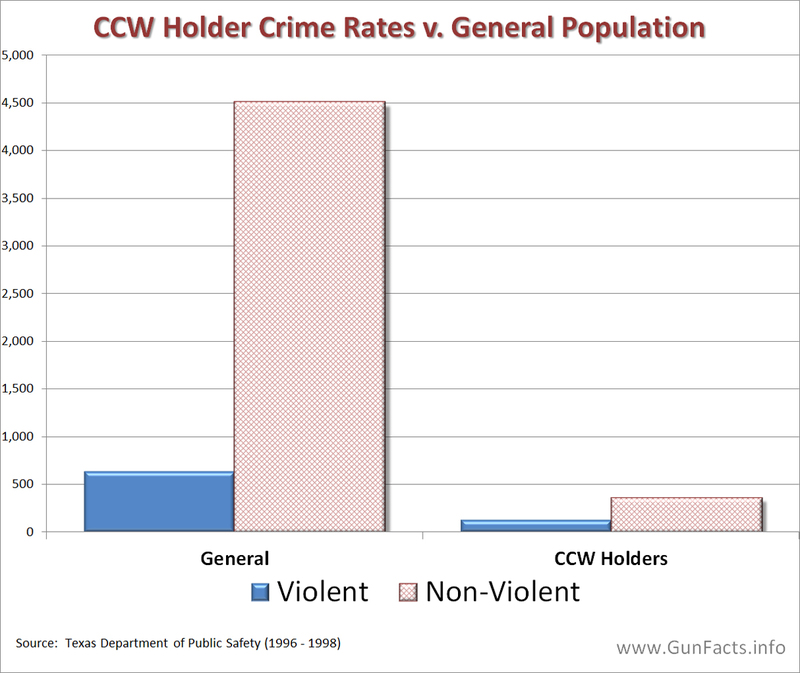 Fact: The Violence Police Center started listing instances of CCW holders shooting police. 10 From May 2007 through November 2009 (2.5 years) they recorded nine police deaths, three in one mass killing by a white supremacist using an AK-47 rifle. Of the nine, five have yet to have a trial or conviction. Fact: The results for the first 30 states that passed “shall-issue” laws for concealed carry permits are similar. Fact: Of 14,000 CCW licensees in Oregon, only 4 (0.03%) were convicted of the criminal (not necessarily violent) use or possession of a firearm. 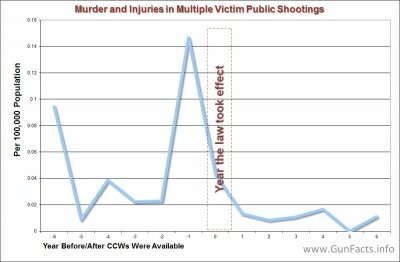 Fact: The “study” by gun control group Violence Policy Center covers a six year span, meaning about 76 shootings of all types, including justifiable homicides. 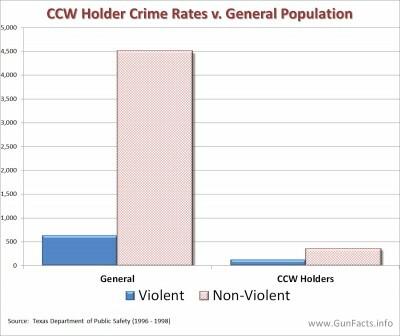 Fact: As of 2001, there are over 11,000,000 CCW holders, meaning the worst case kill rate (justifiable or not) is 0.004% of all CCW holders. Fact: The Violence Policy Center “study” only includes arrests, not convictions. Fact: Many of these arrests in this premature VPC “study” came in the early years of Texas CCWs when the law was not understood by most of the law enforcement community or prosecutors. 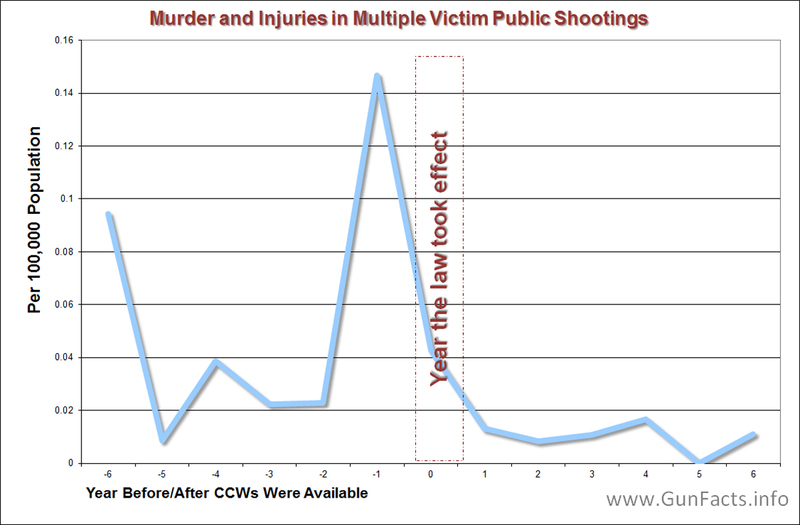 Fact: CCW holders have prevented or curtailed mass public shootings – Pearl, Mississippi (Pearl Junior High School), Edinboro, Pennsylvania (Parker Middle School), Winnemucca, Nevada (Players Bar and Grill), Colorado Springs, Colorado (New Life Church). Fact: Often, small weapons that are capable of being concealed are the only ones usable by people of small stature or with physical disabilities. Fact: The average citizen doesn’t need a Sport Utility Vehicle, but driving one is arguably safer than driving other vehicles. Similarly, carrying a concealable gun makes the owner – and his or her community – safer by providing protection not otherwise available. Fact: Explain this to the Law Enforcement Alliance of America, Second Amendment Police Department, and Law Enforcement for the Preservation of the Second Amendment, all of whom support shall-issue concealed carry laws.